Martha Nussbaum begins her recent review/essay on Katherine Boo’s Behind the Beautiful Forevers: Life Death and Hope in a Mumbai Undercity and Siddhartha Deb’s The Beautiful and the Damned: A Portrait of the New India (“Sewage Lagoon," TLS, 10/12/12 by enlisting Dickens to speculate on the difference between data and narrative in describing human suffering. “It is said of Louisa Gradgrind in Dickens’s Hard Times that she learned of the poor of Coketown as if they were so many ants and beetles, ‘passing to and from their nests.’” Nussbaum, who teaches philosophy and law at the University of Chicago, then goes on to brilliantly link Dickens to groundbreaking work in social psychology. “What Dickens knew intuitively has now been confirmed experimentally. C. Daniel Batson’s magisterial work on empathy and altruism shows that a particularized narrative of suffering has unique power to produce motives for constructive action.” In his essay “Human Rights, Storytelling and Narrative,” (The Journal of Human Rights, Vol l0, No. 1), Titus Levy delineates literary techniques of both empathy and alienation in the context of a more modern British novel, Kazuo Ishiguro’s Never Let Me Go. Human suffering is so ubiquitous. The connoisseur has so many choices and vantage points from which to view it (genocide, apartheid, famines and earthquakes) that there is literally a Darwinian struggle in which the varying catastrophes with which mankind is afflicted or which he afflicts upon himself compete for our attention. Just opening the mailings of human rights organizations like Medicins Sans Frontieres and Amnesty International can be mind numbing. Kony 2012, about the exploitation of children by the Lord’s Resistance Army, received over 93 million hits. But there were all kinds of problems with subsequent calls to action, not the least of which was that the creator of the film, Jason Russell, had a mental breakdown in which he was found wandering naked and incoherent in the streets. Kony 2012 was sui generis and unless you are a Bono, the odds are not high that your story will be heard. This is where literature and genius come in handy. 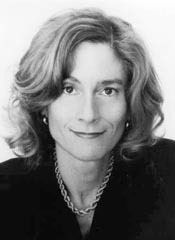 “The English novel was a social protest movement from the start,” Nussbaum remarks, “and its aim (like that of many of its American descendants) was frequently to acquaint middle-class people with the reality of various social ills, in a way that would involve real vision and feeling.” Another aspect of empathy that Nussbaum doesn’t discuss in her essay is the fact of its curative effect on those who might otherwise have perished from self-absorption.